Get certified from anywhere in the world! Next-Gen IT Study Kits provide you with self-paced, remote study materials for Next-Gen IT exams. Each Study Kit can include a Pearson VUE worldwide exam voucher, full-color courseware, a self-study guide, audio tutor USB, flash cards, and various additional study aids. The official Study Kit for DevOps Course Module 1 with a range of course materials and audio media content designed for self-study and preparation for Exam DO90.01. The official Study Kit for DevOps Course Module 2 with a range of course materials and audio media content designed for self-study and preparation for Exam DO90.01. The official Study Kit for DevOps Course Module 3 with a range of course materials and audio media content designed for self-study and preparation for Exam DO90.01. The official Study Kit for Blockchain Course Module 1 with a range of course materials and audio media content designed for self-study and preparation for Exam BC90.01. The official Study Kit for Blockchain Course Module 2 with a range of course materials and audio media content designed for self-study and preparation for Exam BC90.01. The official Study Kit for Blockchain Course Module 3 with a range of course materials and audio media content designed for self-study and preparation for Exam BC90.01. The official Study Kit for Machine Learning Course Module 1 with a range of course materials and audio media content designed for self-study and preparation for Exam ML90.01. The official Study Kit for Machine Learning Course Module 2 with a range of course materials and audio media content designed for self-study and preparation for Exam ML90.01. The official Study Kit for Machine Learning Course Module 3 with a range of course materials and audio media content designed for self-study and preparation for Exam ML90.01. The official Study Kit for IoT Course Module 1 with a range of course materials and audio media content designed for self-study and preparation for Exam IT90.01. The official Study Kit for IoT Course Module 2 with a range of course materials and audio media content designed for self-study and preparation for Exam IT90.01. The official Study Kit for IoT Course Module 3 with a range of course materials and audio media content designed for self-study and preparation for Exam IT90.01. The official Study Kit for Containerization Course Module 1 with a range of course materials and audio media content designed for self-study and preparation for Exam CN90.01. The official Study Kit for Containerization Course Module 2 with a range of course materials and audio media content designed for self-study and preparation for Exam CN90.01. The official Study Kit for Containerization Course Module 3 with a range of course materials and audio media content designed for self-study and preparation for Exam CN90.01. The official Study Kit for Artificial Intelligence Course Module 1 with a range of course materials and audio media content designed for self-study and preparation for Exam AI90.01. The official Study Kit for Artificial Intelligence Course Module 2 with a range of course materials and audio media content designed for self-study and preparation for Exam AI90.01. The official Study Kit for Artificial Intelligence Course Module 3 with a range of course materials and audio media content designed for self-study and preparation for Exam AI90.01. 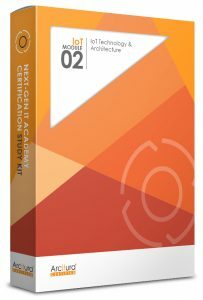 Certification Study Kit Bundles offer sets of Study Kits at a 20% bundle discount. This bundle includes all of the self-study materials needed to complete the DevOps Specialist certification program and prepare for Exam DO90.01. This bundle includes all of the self-study materials needed to complete the Blockchain Architect certification program and prepare for Exam BC90.01. This bundle includes all of the self-study materials needed to complete the Machine Learning Specialist certification program and prepare for Exam ML90.01. 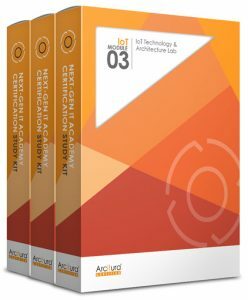 This bundle includes all of the self-study materials needed to complete the IoT Architect certification program and prepare for Exam IT90.01. This bundle includes all of the self-study materials needed to complete the Containerization Architect certification program and prepare for Exam CN90.01. This bundle includes all of the self-study materials needed to complete the Artificial Intelligence Specialist certification program and prepare for Exam AI90.01.